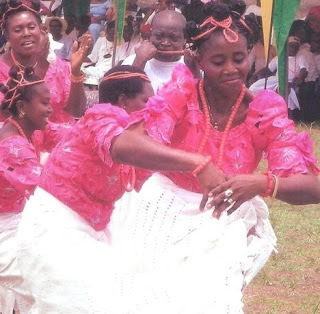 Not many have known that there are Yoruba settlements in Delta State, specifically among the Anioma people of today. This is because not much is known of the social history of the people (Anioma) now hugely located in Delta State. Researchers from the region really have a lot to dig into concerning the people. The Anioma people with heterogeneous origins are obviously some of the understudied people in Nigeria thus only very little documentations about the people are available. There is Igala, a language of the Igala ethnic group of Nigeria, mainly spoken by Ebu but, the Igala version of Ebu community has become fussed with Ishan because the Ebu migrants that took off from Igala, settled briefly in Ishan area of Edo before arriving at their present Anioma location. The people of Ebu are an example of a community of people in Anioma with Igala, Ishan and Ebu languages intelligible to them. That makes the people quite unique too. The Ebu community is located in Oshimili North Local Government Area of the state. Historically, Odiani clans are Yoruba settlements in Anioma. Different communities that make up Odiani have different histories of migration though, but all of these histories of origin are traceable to Yorubaland. Ugbodu legend, for instance, claims that the people migrated in pockets from Owo/Akoko/Akure axis of present day Ondo State of Nigeria in the 9th to 11th c before settling in their present day Anioma abode. Ugbodu lore further claims that shortly after their migration from Owo/Akure, they settled in Benin, from where they fled to settle in a place called Ewohimi, which is an Ishan-speaking community also in Edo State. From Ewohimi they fled to settle in Ugbodu as a result of war that threatened them. Odiani people are obviously thought as some of the earliest settlers within the region called Anioma. The original language of these people is called Olukumi (also known as Olukwumi to the rest of their Anioma kith and kin) or Lucumi. It is a branch of Yoruba language imported by them from their original Yoruba home, which has become extinct among the Yoruba people of Nigeria, yet retained by Odiani people of Anioma. Olukumi is a liturgical language of Santeria while Lucumi people are particularly Afro-Cuban ethnic group that are of Yoruba ancestry. Beyond language, Lucumi is also an oral tradition in places outside Nigeria. Due to the activities of slave trade in which many Yoruba like their other African counterparts were transported to areas outside Africa, the language became an international language spoken in places like Santeria region in Cuba, United States, Matanzas, Puerto Rico and Dominican Republic but back in Nigeria, it has died completely among the Yoruba, the original speakers. However, Odiani, the Anioma speakers have retained the language in Nigeria thus the only speakers in Nigeria added to speakers outside the country so that the language now acts as a social link between Nigeria and a few regions of the world where the language is also spoken. Adie (hen), agoya (enter), ajuba (we greet), ala (dream), ina (fire), Igba (calabash), Eiyele (pigeon), all remain the same whether in Odiani or other regions where spoken. Banjo Aluko has reported the outcome of his visit to Odiani in which he expressed surprise that Yoruba language is spoken in the Anioma area. Located in the midst of teeming Enuani (Igbo dialect) speakers in Aniocha, the original language, culture and heritage of the Odiani people are fast becoming extinct due to the influence of Enuani speakers. Due to their blend with Enuani speakers, they speak both Enuani dialect and Olukumi. But are now making frantic efforts to preserve their original Olukumi language and culture now severely threatened. Some of the measures adopted by them have been to retain their Olukumi names by naming their children in these local names and praying in their native language, speak the language to their children and among themselves as a whole. According to reports as published in Sunday Tribune, Sunday, October 24, 2010 by Banji Aluko, they have also started to organize recitation competitions in Olukumi also as a way of preserving the language for the future generation. Documentations of the language are also ongoing among linguists, notably from Bolanle Elizabeth Arokoyo who holds a PhD in Linguistics. Arokoyo who focused her doctoral work on syntax language acquisition has obviously contributed in the documentation of Olukumi dialect as a way of preserving it. Chief George B. Nkemachor, an Anioma son from the area once embarked on a project in which he sought to raise funds to publish a book he intended would help preserve the Olukumi heritage and history but sadly, the project was not successful so it was closed on April 15, 2015. Olukumi, the language of the Yoruba people as spoken today around the world may have become diluted but the Odiani people of Anioma, Yoruba migrants from Owo/Akure axis who arrived Anioma location with the language have helped in preserving the purity of that language. A lot needs to be done to preserve it. If this language must not be lost, it is the duty of the Anioma people to ensure that it is preserved together with its culture and heritage since Olukumi is one of the cultural values that makes the Anioma people quite distinct and divergent. It is a tough but realizable challenge. Fantastic job. Thanks alot for this informative piece of work. So proud of you. As an ugbodu man,I am proudly anioma and proudly igbo. We are not the only tribe that migrated from various places even onitsha in present day Anambra migrated from the great Benin kingdom.